The basis of this show is a series of unusually large rice paper landscapes created a decade ago and hidden away. Samphan has decided that the time has come to exhibit them. They are a departure from what the public has come to expect from this artist. They are powerful and sublime. 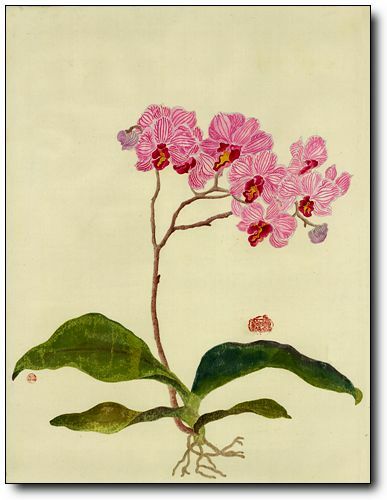 Seen in conjunction with these unusual works are traditional chinese water colours of flowers and a dynamic series of acrylic portraits in a range of styles and approaches. 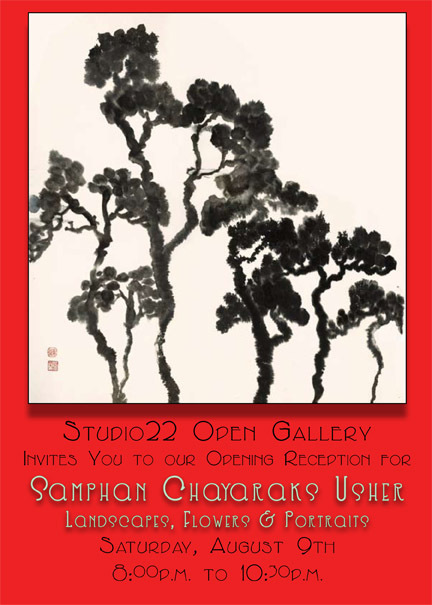 Samphan is a Chinese Water Colour Painter. Born in Bangkok in 1932, Samphan's earliest inspiration toward painting was brush calligraphy taught by her Chinese father. 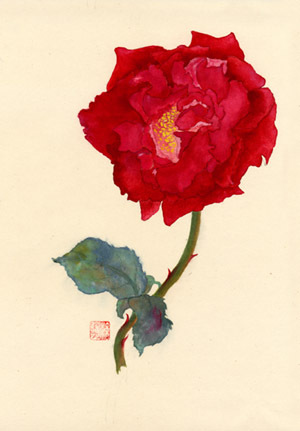 From her first lesson with the Vancouver-based poet and painter Lloyd Yee in 1971, she has trained privately with masters and teachers in Malaysia, the United Kingdom, the United States and China. She has also studied 17th Century gold leaf technique in Kyoto, Japan. 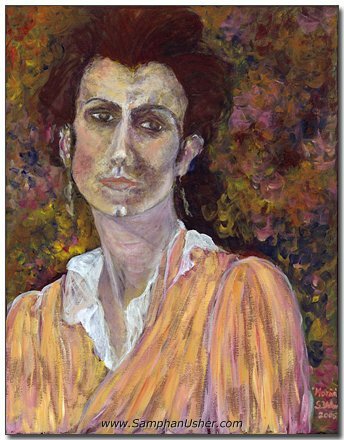 In 2005, she began the study of acrylic portraiture. Regular Gallery Hours: Wednesday, Saturday & Sunday afternoons 12 to 5, Thursday & Friday evenings 6 to 10. Anytime by appointment. 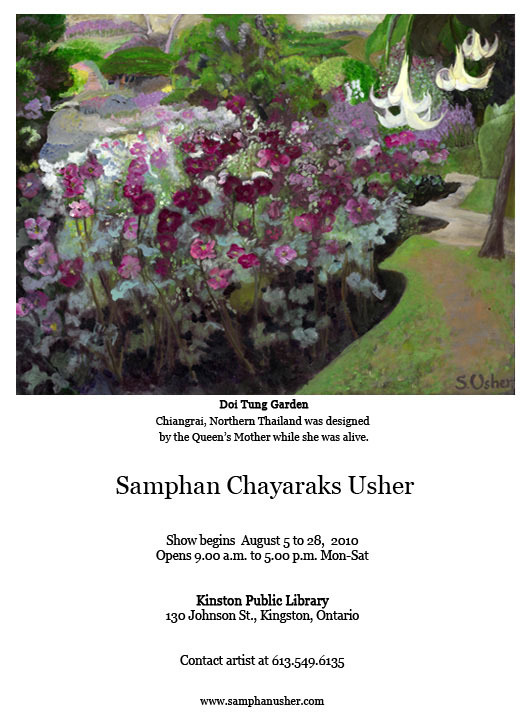 The show continues until the end of August. Participating in an art auction, "Art on Many Levels" to be held April 30th, 2003, to support the Community Foundation of Greater Kingston. For further information please check: www.cfgk.org. Copyright© 2003 ~ 2019 Samphan Usher. All rights reserved.